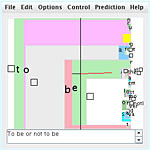 The following page contains links to some of the free computer software utilities which are available and may be useful in your quest to avoid RSI. 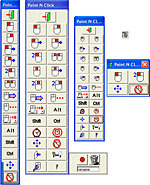 If you know of any useful free software utilities that can be used to reduce exposure to RSI type injuries, please send a link and we can add it in. * on a wearable computer. Developer says: “Every 10 minutes (or whatever you set it to) the program will play a sound to remind you to have a stretch. I use a large archive of sound bites from movies and TV that I found on the web – the program picks one at random as the reminder each time to keep it interesting. Developer says: “A break reminder program to help prevent OOS/RSI and to assist in the healing process if these or similar conditions already exist. Developer says: “Mouseketeer is a small, simple and reliable software application that enables the user to carry out clicking actions without the need for pressing the mouse buttons. It will enable the following actions: If the pointer does not move, the clicking action will not occur. Clicking only happens after moving the pointer, thus preventing constant clicking when not required. Every action is signified by a beep from the computer. Description: Mouseless web browsing for Firefox 3.x, comes as a Firefox extension. Adds numbers to hypertext links to allow fast keyboard based selections. Developer says: “Mousotron keeps track of how much you move or click your mouse. 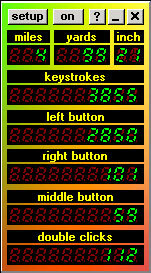 Also the number of keystrokes is measured. <td colspan=”2″>”Every 10 minutes (or whatever you set it to) the program will play a sound to remind you to have a stretch. I use a large archive of sound bites from movies and TV that I found on the web – the program picks one at random as the reminder each time to keep it interesting.